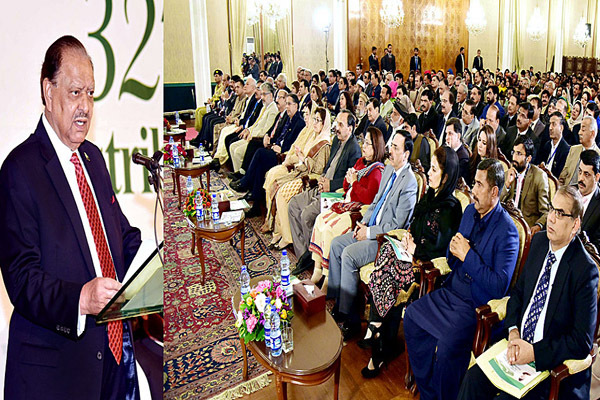 said China Pakistan Economic Corridor (CPEC) would generate enormous opportunities of progress and called upon the nation to equip themselves with modern education and skills to take maximum benefit from the mega project. fortune for Pakistan and the region. termed as a game changer for Pakistan. He said once a stone age world had now transformed into a digital world and stressed that only those nations thrive that prepare themselves with contemporary education and take advantage of the latest inventions of science and technology. vanguard against the menace of corruption. martyred policemen would not go in vain. would continue till its logical end. so as to prove beneficial for the country and nation. terrorist and extremist mindset in the society. education to contribute positively for the country. and teachers, who had a major role in their success.